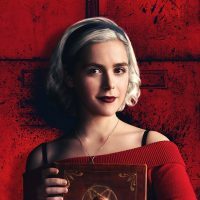 Fans of The Chilling Adventures of Sabrina may have noticed a change to their social media pages today as the Netflix Original revealed the new key art for the upcoming second part. 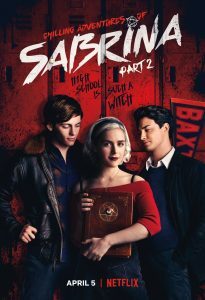 The new art plays on the love triangle between Sabrina, Nick and Harvey and also features Sabrina’s new hair and darker image since dedicating herself to the Dark Lord. The Chilling Adventures of Sabrina Part 2 hits Netflix on April 5th.